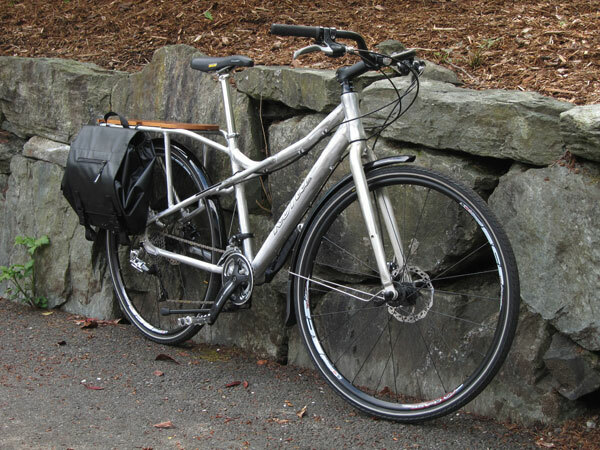 The ultimate utilitarian asphalt bike, the much-coveted Kona Ute, is getting a more versatile, smaller wheelbase cousin in 2012, the all new MinUte. We recently got the first prototype bike delivered to our Kona USA headquarters in Ferndale, Washington, just to make sure everything was perfectly in place for riders looking to get the hustle and bustle of life’s day to day done by bike. With a substantially shorter wheelbase than its elder Ute, the MinUte offers many of the same cargo hauling advantages, but with a compact design. Easier to store, easier to maneuver, easier to lock up in crowded bike racks. The MinUte boasts the same features as our successful Ute. You still can haul groceries and children, and lots of your stuff… just not quite as much. 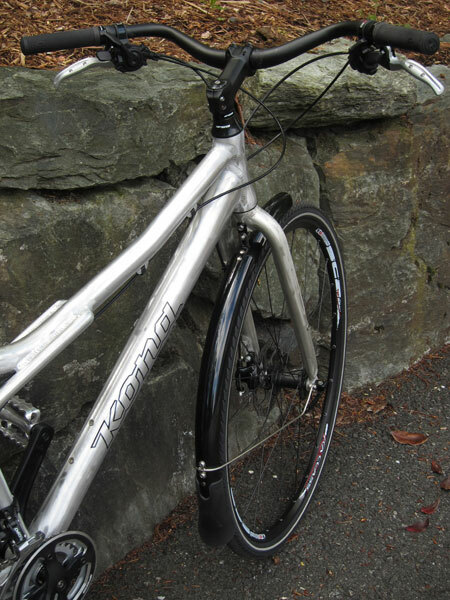 Keep an eye on traffic with its upright riding position, and comfortable swept back HandPlant handlebar. Front and rear disc brakes allow you to safely control speed while loaded down. 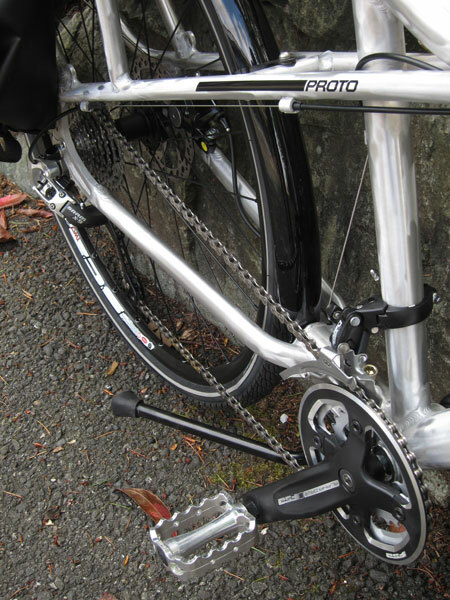 A simple, 16 gear drivetrain, with extra low for the extra weight, completes the package. 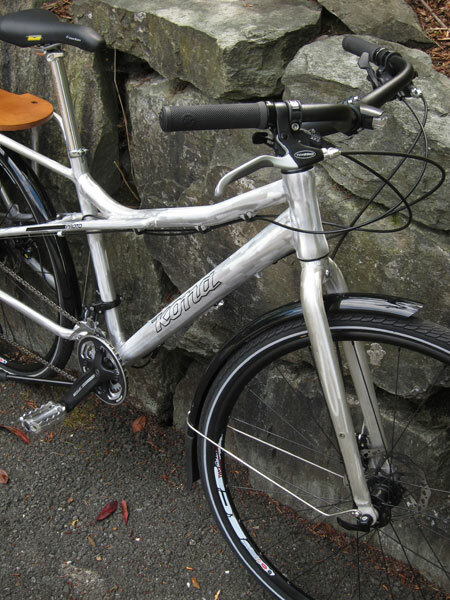 Oh, and the MinUte also ships with two burly panniers ready for all your stuff. Laterally stiff, vertically compliant, able to comfortably carry 100lbs (additional to the rider) and retailing for $799 in the US and Canada (available in Europe as well, price TBD) the MinUte works for hauling your stuff (or little people) all around town, at an affordable price. Look for it to hit a retailer near you later this year. I want one for the 2012 Bike Winter Fashion Show! Awesome! Sign me up for a 22″ please please please. That seems way more practical for my needs than the full on Ute. Nice price, too. Me gusta mucho! Will the MinUte hit stores before the end of summer? I’ll be tempted to “downgrade”. and trade in my ute. Is the production model to be brushed aluminum? Looks very nice if that’s what it is. 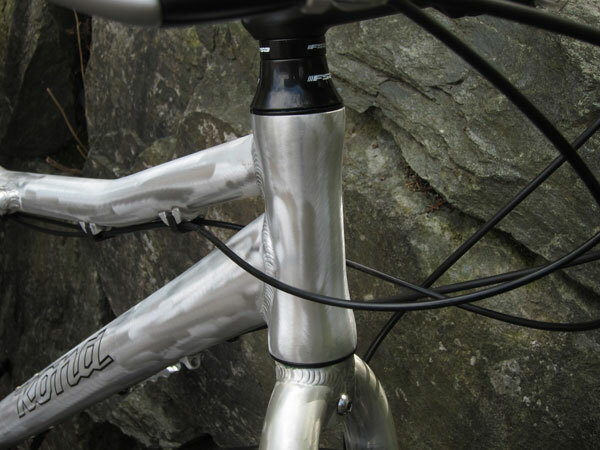 Also, the addition of a front rack eyelet is great. This could be a nice touring bike. Is there any way an accessory could be added (or made available) to allow the rear rack to take normal pannier clips and bungee hooks? Also on the topice of bungee cords, the deck cutouts need to be a bit more generous — they are too few and too small. Details, details… I love the ute — it’s got character — and this looks like an excellent variation. A huge improvement on the Specialized Globe Haul, the only other semi-longtail that I know of. Beautiful bike, great job Kona! Amen to David’s post re: fitting bus bike racks. I’d <3 if this came in a 16 " frame. I would buy one immediately. Would be great to have accessories such as running boards too!… ooh and bigger bags! !